Having a secure, safe space for our dogs to play and exercise is a priority for all responsible pet owners. Dogs are by nature inquisitive creatures and if the boundaries of their play and exercise space are not secured they can easily and innocently wander off and be at risk from vehicles and other animals and people. The thought of something happening to our beloved dog’s is not something any owner wants to conceive or experience, so it’s important that we do our utmost to keep them safe and secure within the confines of our home and garden or outside space that we take them too. 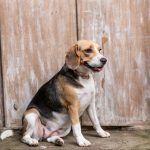 When a secure fence or wall is not present to keep them contained or if you would like your dog to stay within a certain area within your secured outside space or when you are traveling with them, a wireless dog fence is a great option. 1.1 What is a wireless dog fence and how does it work? Considering all described below factors as well as good value for money, we created our comparison of Best Wireless Dog Fences on the market. What is a wireless dog fence and how does it work? Wireless dog fences allow dog owners to keep their pet in a safe and secure area without having a physical fence present. They create a circular boundary around a central base station using radio waves. Wireless dog fences are portable and can be set up anywhere in your garden or your chosen outside space. Once the system is set up and the boundary is set you place the collar that comes with the system onto your dog ensuring the contact points sit against your dog’s skin. 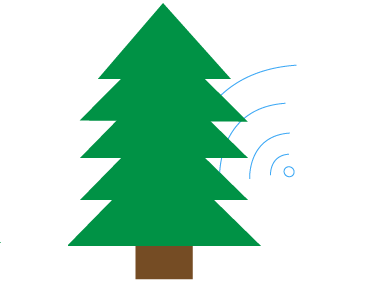 The wireless fence then prevents your dog from leaving the invisible set boundary through static correction signals, the signals are mild shocks whose purpose is not to punish your dog but interrupt your dog’s behaviour when they are straying too close to the edge of the set boundary and make them back away and return to a more central point. Not all dog owners are fond of static correction, so after an initial period of training using static shocks in which your dog learns they must stay within the set boundary, you do have the option of a beep only signal that gives your dog an audible instead of a static alert. This method of correction can be reinforced with flags that are placed at the boundary edge to give your dog a visual as well as audible signal that they are too close to the invisible boundary. Wireless dog fences provide a number of benefits, firstly cost. 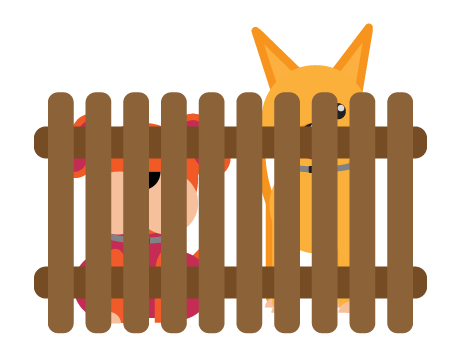 If your home does not have a physical boundary around it to prevent your dog from straying it can be very costly to install a wooden or mental fence. There are some cheaper options like portable metal dog fence. You can pay upwards of a $1500 depending on the size of the area you wish to enclose and the type of material you use. In contrast an invisible dog fence costs between $150-$600 – the saving speaks for itself. As well as protecting your pet the invisible fence also protects your view. If you buy a home on a golf course or by a lake or just have a magnificent view outside, the last thing you want to do is fork out a substantial amount of money to obstruct it. The best wireless dog fence will provide a secure boundary for your dog that won’t leave you looking at fence. If you have a beautiful garden that you have put a lot of time and effort into there will most likely be areas you will not want your dog to go in to, especially if they like to dig or you have expensive items or a pool. An invisible dog fence will enable you to keep your pooch away from your pride and joy without interrupting their exercise. There are many models on the market that vary in price and specification, so before you buy identify why you need the fence and what requirements it must meet. Nowadays, there is only one main brand which produces reliable and therefore best wireless dog fences it is PetSafe, and we strongly recommend them. 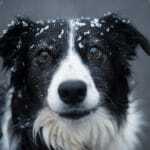 Detailed reviews you will find in wireless dog fence reviews section. The first thing you need to consider is what is the maximum area that you need it to cover, different models can cover areas ranging from ½ Acre to 25 Acres. Obviously, these vary greatly in price so don’t waste your money on a model with huge coverage when you only have a small yard or visa versa. Some models also only offer a set size of boundary while others have an expandable boundary. Dog fences with expandable boundaries are great if you are on the move a lot with your dog and are setting up in spaces of numerous sizes, alternately if you know you are only going to be setting up the fence in a single space and have no requirement to expand, it wouldn’t be worth the extra cost of buying an expandable one. You also need to consider the size of your dog, most systems have a minimum of weight of around 5-8 pounds, meaning puppies and small breeds such as Chihuahuas and pugs may just be too small to trigger the receiver. Very small dogs are often not best suited to be left outside alone as they can easily be taken or harmed by other larger animals. So, if you have a small dog there is a great chance you will not be able to find a wireless dog fence that would work for you. Similar situation appears when you want to buy best bark collar for your dog. Alternately if you have a very large dog such as a Great Dane or Rottweiler you may need to have a custom collar made that transmits a more intense correction signal to get their attention. Many dogs of this size will do just fine with a standard collar but you will know the nature of your dog and whether it will need that little bit extra to ensure it stays within the boundary. Also, many systems can only keep 1-2 dogs within the boundary at any one time, while others are only limited by the number of collars you have. While you may only have one or two dogs now it is always worth giving some thought to whether you are planning on buying any more dogs in the future so can buy a system that will grow with you and save you the cost of replacement. Finally, hair length needs to be considered. Most systems cater for dogs of varying hair lengths and will include long and short prongs, but it’s always wise to double check just in case. Easy to install – Wireless dog fence systems can be set up in minutes in some cases, while some wired fences can take up to 12 hours. There are no trenches to dig and no wires to bury, so with minimal fuss and time you can create a safe space for your dog to play. 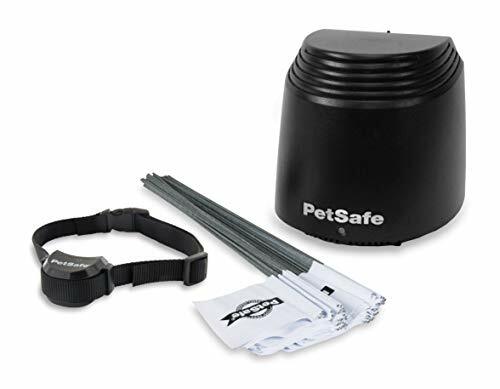 Portable – They are great for pet owners who are on the go with their dog as they are easy to transport and can be set up where ever you are in minutes – Perfect if you are taking your dog on vacation or going camping. Low Cost – With systems costing between $150-$600 they are much cheaper than having a wooden or metal fence built to contain your dog. Boundary Wobble – One of the biggest issues across all wireless dog fence systems is boundary wobble. In trials done the movement of the boundary line from moment to moment can vary by as much as between 2-8ft depending on the make and model. Such a large inconsistency can make it very difficult for your dog to learn where the boundary is. 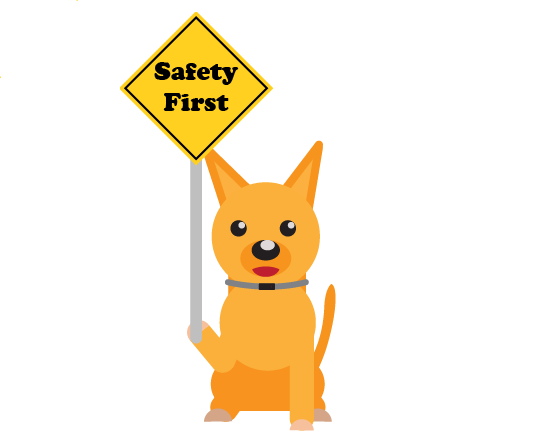 It can also be very dangerous for your dog if you need a clear boundary to ensure your dog stays out of harm’s way. Retreat Response – This is the distance your dog must retreat before they stop receiving static correction. In general, wireless systems when compared to wired systems require your dog to retreat a much greater distance before the correction signals stop. 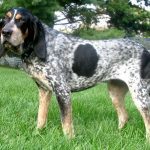 This can make it difficult when training your dog as they must retreat to a much greater distance before they are rewarded with the cessation of the correction signals which can be confusing for them. Obstructions – Wireless dog fence systems in general struggle to perform when obstructions are present. If you have obstructions such as shrubs and bushes for example within the set boundary and are using the system over a large area you will see deterioration in performance. They perform best when used in a smaller area with few or no obstructions present. Once you have bought your system it is vitally important that you invest time in training your dog to use the fence. Invest a couple of weeks into training your dog and you will have a happy dog who understands its boundaries. Without training the fence will be useless. 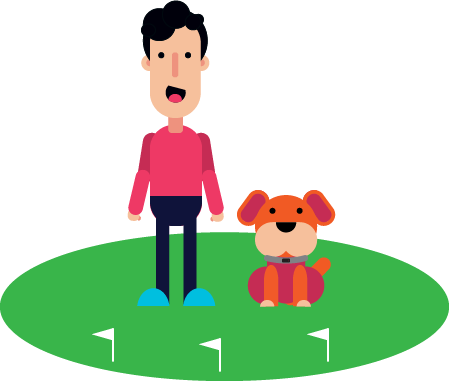 Introduce your dog to the fence – Keeping your dog on a leash, you should use flags as visual aids to show your dog where the boundary line is. Then you need to teach your dog that the boundary flags and the warning beep means that they need to turn and retreat rather than run across the boundary line. 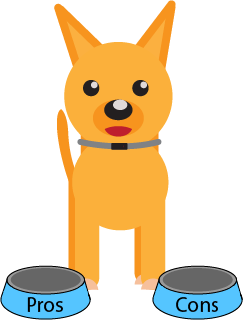 Introduce the correction – Once your dog has learnt the first step you should now introduce static correction to the training, this shows to your dog that the consequence for ignoring the beep is a shock. This step reinforces that in order to avoid static correction they must turn and retreat when they hear the beep. 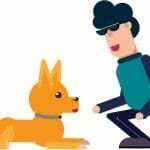 Testing Compliance – Once you feel your dog has learnt the first two steps it’s time to test them. Place treats such as food or their favorite toy beyond the boundary to show them that no matter what temptation is on the other side the boundary rules must be observed. Remove the Leash – Start allowing your dog to play in the area off the leash, start with short stints and gradually work up to allowing your dog to play unsupervised for a full day. Simple and easy to set up, it has a great a range and level of accuracy and has rechargeable collars, saving the you the cost and inconvenience of buying and installing batteries. The system offers adjustable coverage of 0.75 acres or 105 feet, perfect for suburban spaces or if you are using it on a campsite or if you have limited space. You can also create a larger coverage area by overlapping transmitters up to a maximum coverage of 400 yards. It also only takes fifteen minutes to install, simply plug in, set your boundary size and away you go. The downside to this model is it only offers a circular boundary and does not cope very well if there are any obstacles or slopes in its path. Just plug it in and you’re ready to go! 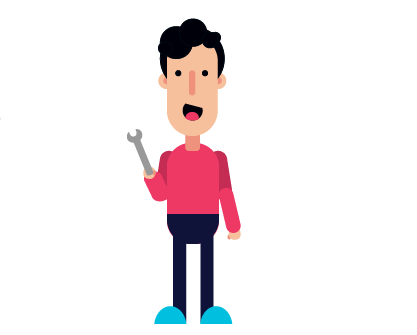 The most appealing aspect of this system is it’s so simple and easy to use. It takes five minutes to install, maintenance is low and it has an adjustable radius of up to 0.5 acres, which for the average garden is sufficient. Due its simplicity and quick set up, it is a great option for taking on holiday with you to your vacation home or on a camping trip. Negatives are its inflexibility, you can only have a circular boundary and it only covers an area equivalent to a maximum of 90 feet – great for those with a small outside space, but unsuitable for those with larger dogs or those who need their fence to cover a larger outdoor space. If you require a wireless dog fence that is more rugged and can face harsh weather conditions, it is worth considered a GPS dog collar fence. GPS systems are far more hard wearing and reliable and are designed for even the harshest field conditions. Most GPS systems offer customized boundaries meaning you can set the size and even the shape required – a major plus point as most standard wireless dog fences have a limited size and only offer a boundary that is circular. You can buy GPS systems that offer a boundary of up to 415 acres, great for use on farms and large estates. You can also set different zones within the boundary including a safe zone, warning zone and a stimulation zone, with the ability to give each zone its own unique series of corrections – This can be a combination of sound, vibration and static shocks. Unlike regular wireless dog fences GPS systems offer up to fifty levels of static intensity, great if you have a larger, boisterous more head strong dog who needs a little more correction than is offered by an average system. 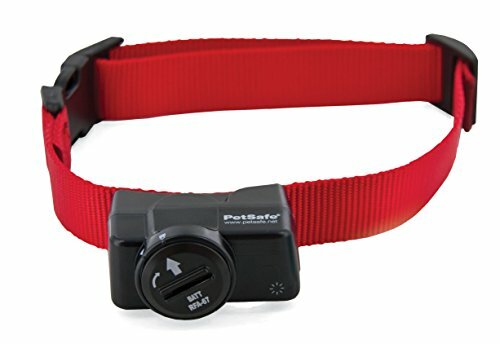 They also offer fence view tracking capabilities which informs you of the direction and distance of your dog from the central point, meaning even when your dog is out of sight you have piece of mind that they are safe. If your dog does ever leave the confines of the set boundary, a welcome home feature allows the dog to return to the safe zone without the unwanted correction. Out of the models currently available on the market we would recommend D.E. Systems Border Patrol GPS Containment System. Full review of this product is available here. Why choose a wireless dog fence over an inground fence? 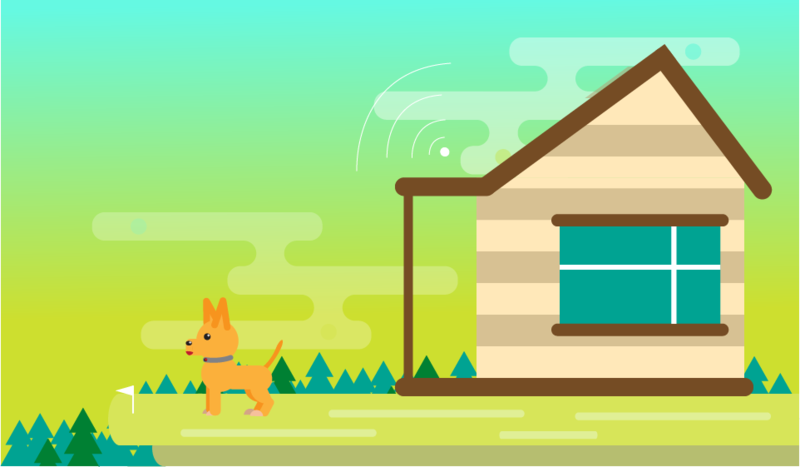 First and foremost, wireless dog fences are a lot simpler to setup. Wireless dog fences can be set up and ready to go in minutes, no tools are required, no mess, no fuss. In comparison in-ground fences can take the best part of day to get up and running. You must dig trenches in which to bury the wires which can be a strenuous and time consuming job and if you are not able bodied or do not have the time to do it yourself you may have to pay someone to come in and do it for you. The nature of an in-ground fence also means they are not portable, so you cannot travel with the device, so if you generally need a device that can travel with you and your dog an in-ground fence may not prove to be the best option. If portability is not a requirement for you and you do not mind the setting up involved with an in-ground fence, it does have several advantages over a wireless system. As previously mentioned one of the most major drawbacks of a wireless system is boundary wobble. This issue is virtually nonexistent in in-ground models, with the wires being firmly secured into the ground the boundary remains stationary and you avoid the issues associated with boundary wobble. Many wireless models also only offer a circular boundary which can be a major drawback for many dog owners. An in-ground fence allows you to create a boundary in the shape that you require, perfect if you have a landscaped garden with obstructions that would cause a weakening of the boundary in a wireless model. Wireless dog fences are a great option for pet owners who need to create a safe and secure space in their garden with a minimal amount of fuss. They are simple to set up and maintain and are great for dog owners who need a system that is portable and can be taken on the road with them and set up anywhere they choose. Price point is also a major advantage, if your home does not have a stationary wood or mental fence surrounding it and you do not want to spend in excess of $1500 installing one on your property then they are a great cost effective option – costing between $150-$600 they are a fraction of the price. While regular wireless dog fences have several con’s that make them unsuitable or a less desirable option for some dog owners, including boundary wobble, delayed retreat response and their inability to deal well with obstructions. The more expensive GPS models resolve most of these issues and are a perfect heavy duty option for those living on farms or large estates or those with large boisterous dogs who need something a little more powerful to contain them. Before you buy, do your research and carefully assess the specification of each model you are considering buying until you find one that suits yours and your dog’s individual needs. If you take into account our advice and guidance and follow our training steps, a wireless dog fence could be an indispensable piece of equipment for you and your pooch.